Peggy Lynn McClain went peacefully to be in the presence of the Lord, Tuesday, February 26, 2019 in Chapel Hill, Texas, after a long battle with various illnesses. Peggy was born April 5, 1941 in Tacoma, WA. and grew up in Randle and Glenoma, WA. 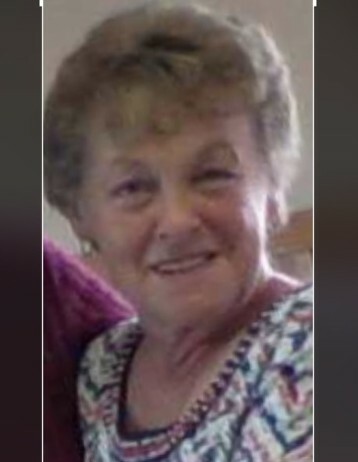 She married Ralph McCain in 1968, together they raised 4 children in Enumclaw, WA., after retiring from her career in accounting at Rainier State School, they moved to Onalaska, WA closer to her sisters and other family. After Ralph passed away in 2009, Peggy moved to Idaho near her son and grandson’s for a short time, then moved to Texas and lived out her final six years with her daughter, son-in-law and other grandchildren in Chapel Hill, Texas. It was there that she attended Sharon Baptist Church, which became an important part of her life. She loved her church family. It was always her priority to fly back to Washington every summer for a family reunion with her sisters and extended family. She is preceded in death by her husband, Ralph McClain; father, Edward Cox; mother, Ester Goble; step-dad, Albert Goble; sister, Janice (Janie) Goble; and grandson Michael St. Clair. Peggy is survived by her children 2 daughters, Cathy Thola (Loren), Debra Hunter; 2 sons-Rick McClain, Ross (Jennifer) McClain; grandchildren, Trisha Carpenter, Teri Price, Tony McClain, Nicole Phillips, Angela Moore, Casey Christian, Crystal Marino, Matthew Moore, Tyler and Alex McClain; as well as 16 great grandchildren. Peggy is also survived by her 3 sisters Roberta (Bobbie) Coleman, Carol Randall, Diana (Dee Dee) Rife; and brother, David Goble. Peggy had several nieces and nephews, great nieces and nephews in which she was auntie Piggy, Gigi, Grammy and Gramma, to many of them and was very much loved by all. She will be greatly missed by all her friends and loves ones. Officiating the service will be conducted by Joseph Sutton.